Haruhi-ism. . Wallpaper and background images in the The Melancholy of Haruhi Suzumiya club tagged: the melancholy of haruhi suzumiya sos brigade haruhi suzumiya yuki nagato haruhi kyon the disappearance of haruhi suzumiya screencap. 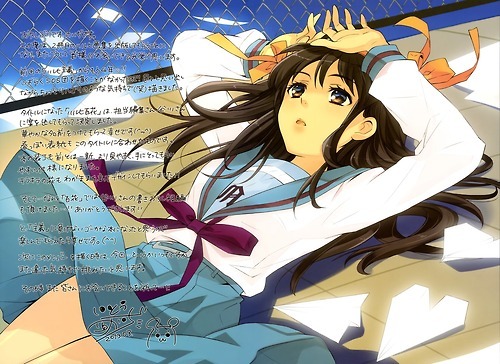 This The Melancholy of Haruhi Suzumiya photo might contain anime, bande dessinée, manga, and dessin animé.